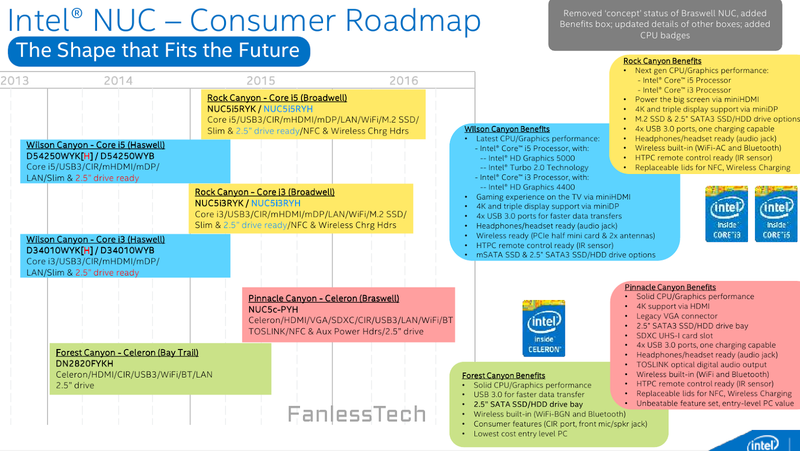 Intel's Next Unit of Computing PCs are due for a nice upgrade next year, according to some legit-looking slides obtained by FanlessTech. The revamped lineup will include systems based on Core i3 or i5 Broadwell and Braswell processors, supporting up to either 8GB or 16GB of DDR3 RAM depending on the model, and featuring unspecified Intel HD graphics. The Broadwell-based models will be available in two configurations with two different chassis designs each, including a bulkier option that can house a 2.5” drive plus an M.2 SSD, and a slim one limited to M.2 storage. There are no specific GPU details but the slides suggest one of the configurations is capable of “immersive gaming” while the other handles “mainstream” games. Both will have dual SO-DIMM slots, 4K capable mini HDMI (1.4a) and mini DisplayPort (1.2), four USB 3.0 ports, an IR sensor, 802.11ac Wi-Fi and Bluetooth 4.0. The slides also detail a single Braswell-based Celeron entry-level model for HTPC use or light mainstream gaming. Design-wise it uses the bulkier chassis with support for 2.5” drives but drops M.2 storage altogether. There’s also a single memory slot and DisplayPort is swapped for VGA. Other wise you get pretty much the same connectivity and expansion options. 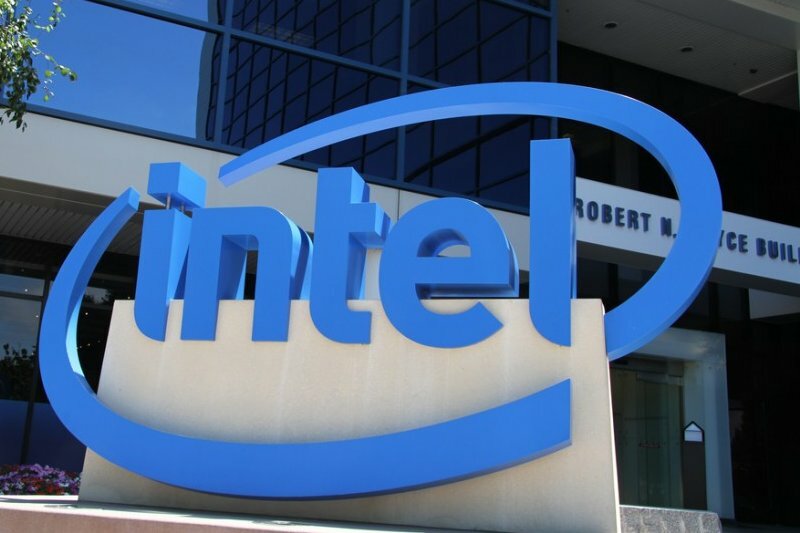 The slides also reveal Intel is planning to release optional case lids that can be mixed and matched while adding NFC and wireless charging support. The Broadwell machines are reportedly due in the first quarter of 2015, while the Braswell one is expected in Q2. There’s no word on pricing at this point. How many GPUs did a 3Dfx Voodoo2 have?